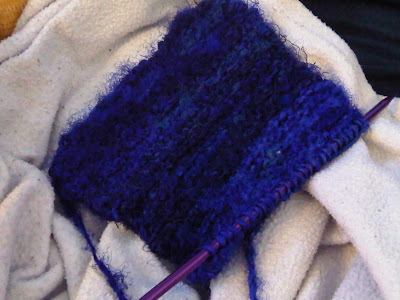 Knitting with recycled silk is a lot like life. It can feel exhilarating as it flies through your fingers, it knots up back on itself most of the time. But when you run your hand back over it after you are finished it feels tacky and divine.